Filtered Pipette Tips. Low Retention Barrier Tips from CAPP. Capp ExpellPlus filtered pipette tips are of Premium Quality, offering dimensional consistency, great finish, flash-free orifice and crystal clarity. Designed to prevent cross contamination on critical applications such as in the field of Molecular Biology, or Clinical and Life Science. 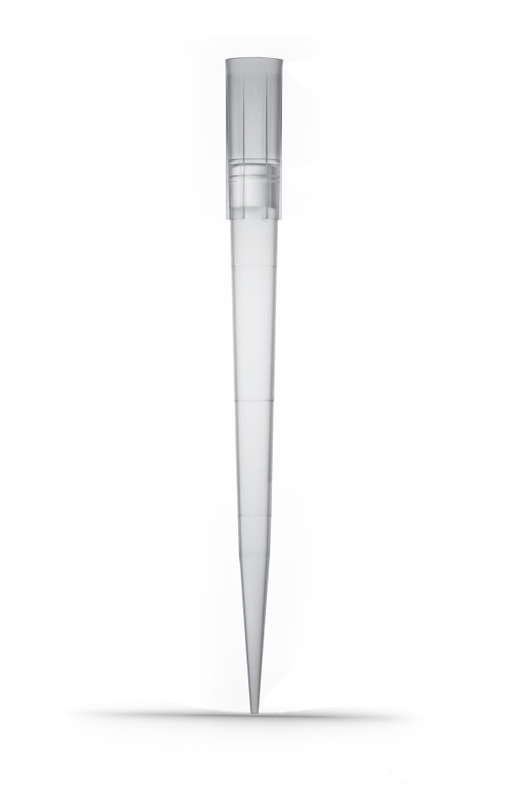 Capp barrier pipette tips are RNase, DNase and Pyrogen free certified and crystal clear. The filters of ExpellPlus barrier tips are made of pure HDPE (High Density Polyethylene) and are free from any cellulose additives. 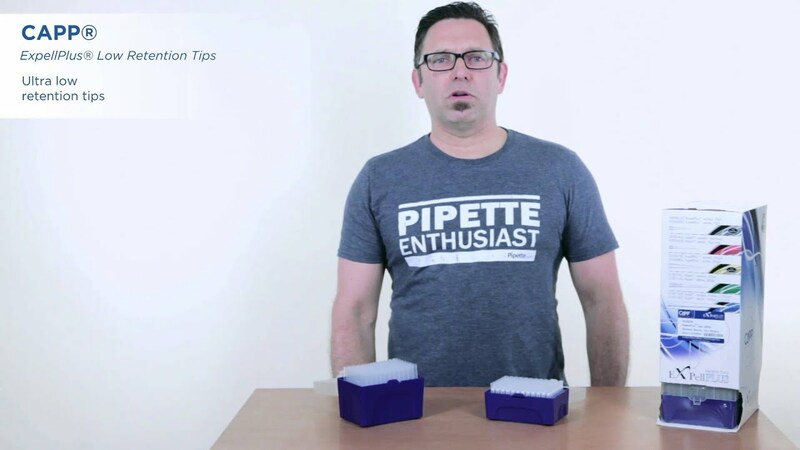 They are 3-4 times smaller than by many other brands of filtered pipette tips, making ExpellPlus barrier tips the perfect choice within the field of molecular biology. Capp pipette filter tips are universally compatible with the majority of pipette brands. The volumes up to 300µL of ExpellPlus barrier tips are low retention, resulting in extremely low binding properties. Learn more about ExpellPlus low retention tips. The accurate graduation marks on Capp filtered pipette tips support easy visual volume identification. Contact us to receive free samples of ExpellPlus filtered pipette tips. Stop adding more plastic into the environment! Compatible with the majority of the pipettes available in the market. Made of HDPE and without cellulose additives, these filters are inert and with pore size 3 to 4 times smaller than many other filters. A great quality filter to prevent cross contamination for researchers working with molecular biology. The ExpellPlus filter tips are tested to conform to strict bio-load specifications. Batch certificates are available on request. The ExpellPlus low retention polymer virtually eliminates liquid retention on the tip, assuring greater repetability and precious savings on expensive reagents. ExpellPlus 10µl, pre-sterile w/ filter, PaperBox carton racks, 5x10x96 pcs. Expell 10µl, bag, w/ filter, 20x1000 pcs. Expell 10µl XL, bag, w/ filter, 20x1000 pcs. ExpellPlus 10µl XL, extra narrow pre-sterile w/ filter, PaperBox carton racks, 5x10x96 pcs. Expell 10µl XL, Extra Narrow, bag, w/ filter, 20x1000 pcs. ExpellPlus 20µl, pre-sterile w/ filter, PaperBox carton racks, 5x10x96 pcs. Expell 20µl, bag, w/ filter, 10x1000 pcs. Expell 100µl, bag, w/ filter, 10x1000 pcs. ExpellPlus 200µl, pre-sterile w/ filter, PaperBox carton racks, 5x10x96 pcs. Expell 200µl, bag, w/ filter, 10x1000 pcs. ExpellPlus 300µl, pre-sterile w/ filter, PaperBox carton racks, 5x10x96 pcs. Expell 1000µl, pre-sterile w/ filter, hgd. rks.4x8x96 pcs. Expell 1000µl, pre-sterile w/ filter, PaperBox carton racks, 4x8x96 pcs. Expell 1000µl, bag, w/ filter, 10x1000 pcs. Expell 1250µl XL, pre-sterile w/ filter, PaperBox carton racks, 4x8x96 pcs.